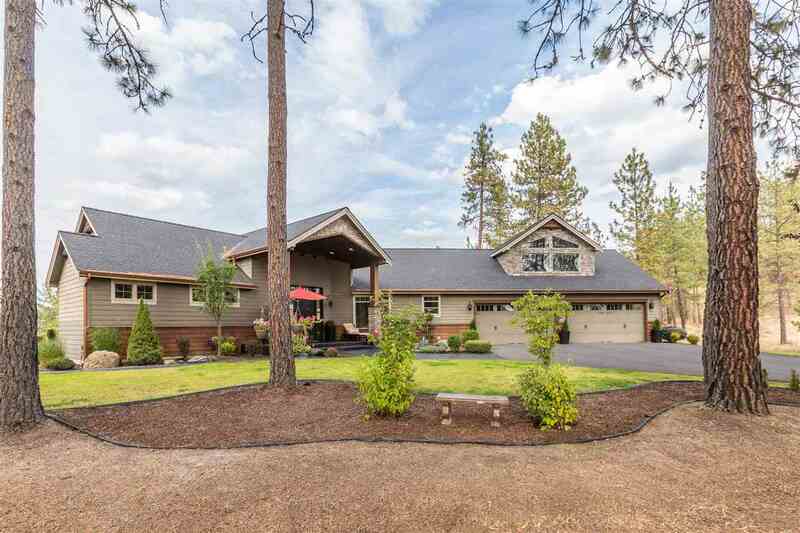 9609 W Parkview Bluff Ln, Nine Mile Falls, WA.| MLS# 201913108 | Cooper Realty Services (509) 599-1111 | Spokane WA Real Estate | Contact us to request more information about our Homes for Sale in the Spokane WA area. Exquisite 2008 Home Show award winner conveniently located mere minutes from all that Spokane offers. This 6000sf +/- home sits on a private acre w/sweeping views next to 300 acres of private forest. Unsurpassed quality finishes & materials used throughout. Grand great room opens to 5*kitchen & dining. 3 luxurious master suites, full in law set up, theatre, wine rm, exercise rm & 4 car garage. Covered outdoor patio. 2 min. to Riverside St Pk, 13 min. to St. Georges&apos;, 9 min. to VA & 19 min. to downtown.